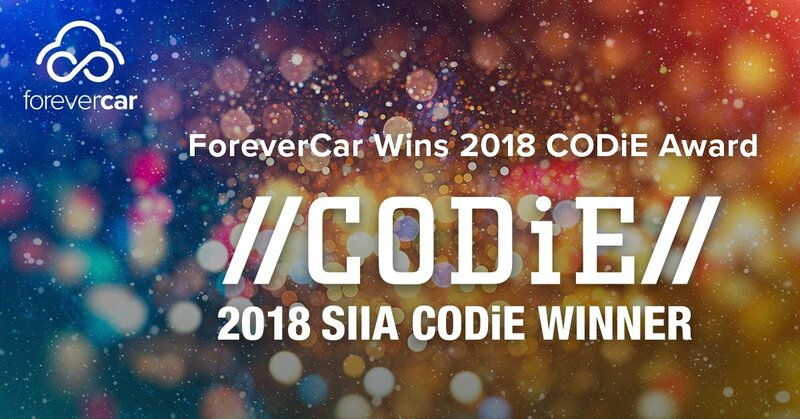 CHICAGO (JUNE 20, 2018) ForeverCar’s 1Quote has been named the best Insurance Solution of 2018 as part of the annual SIIA CODiE Awards. CODiE Award recipients are the companies producing the most innovative businesses technology products across the country, and around the world. ForeverCar’s unique platform powers vehicle repair plan transactions on behalf of key partners in the automotive dealership, insurance and financial services categories. ForeverCar makes it simple for consumers to quote, shop, purchase and use vehicle repair plans, while offering full transparency along the way. ForeverCar’s innovative platform makes it simple for partners to sell high-quality vehicle repair plans to their customers. For more information about ForeverCar and its innovative platform or vehicle repair plans, visit partners.forevercar.com or email us at media@forevercar.com. “The 2018 CODiE Award winners are the most innovative, high-impact products in the market. We are happy to recognize these products and the power they have to transform the future of how we do business.” said Ken Wasch, President of SIIA. Details about the winning products can be found at http://www.siia.net/codie/2018-Winners.